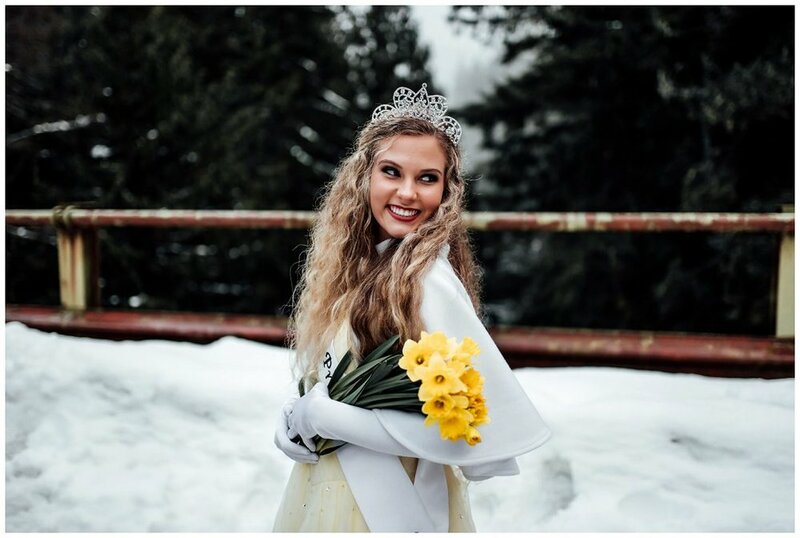 A Daffodil Princess is an official embassador of Pierce County. We give back to the community as they give to us, through reading to kids at libraries, visiting hospitals and boys and girls clubs, helping out at auctions and much more. When I was selected to be the Rogers Daffodil Princess I was thrilled! This is such a wonderful opportunity to inspire young minds to do great things. It definitely has made me explore and step out of my comfort zone. I have never been one to interact with kids at free will (I’m more of a dog person) but through daffodil I have really let down my barrier. Seeing the huge grins on kids faces as they walk up and see a real life princess is indescribable. Don’t get me wrong, it hasn’t all been sunshine and rainbows, it’s been a lot of hard work, but I couldn’t have asked for a better court to experience this with. I can already tell I will have some life long friends from my experience so far. Daffodil has also enhanced my real passion, public speaking. Next year, I will pursue a career in sports broadcasting. I love getting in front of crowds and entertaining. I hope to influence the young generation that if you set your mind to something, you can achieve it. Things don’t always come easy, but in the end, it’s worth it. Set your dreams high and never let anyone influence you differently.